Tecton Trust is a full service industrial contractor embracing every industrial construction challenge. Our planning and innovation approach ensures we optimise every stage of the build prior to starting construction to reduce on site risk. Tecton Trust is a reputable Romanian Industrial Construction Company. We can help your company in the pre-planning stage of construction by providing engineering services to study the feasibility of your project as well as providing your firm with estimates and quotes of the costs that will be associated with your individual project. We deliver performance with a comprehensive range of industrial contracting services, from air quality control and ventilation installation, boiler maintenance and repair, electrical systems, piping fabrication and maintenance to regular routine statutory industrial inspections. Our dedicated industrial construction engineers and site managers take a collaborative team approach, overseeing every element of the project with an established construction project management methodology, from structural engineering and architectural and interior design to cost effective procurement. Our experience includes industrial projects ranging from chemical and pharmaceutical to the manufacturing industry. 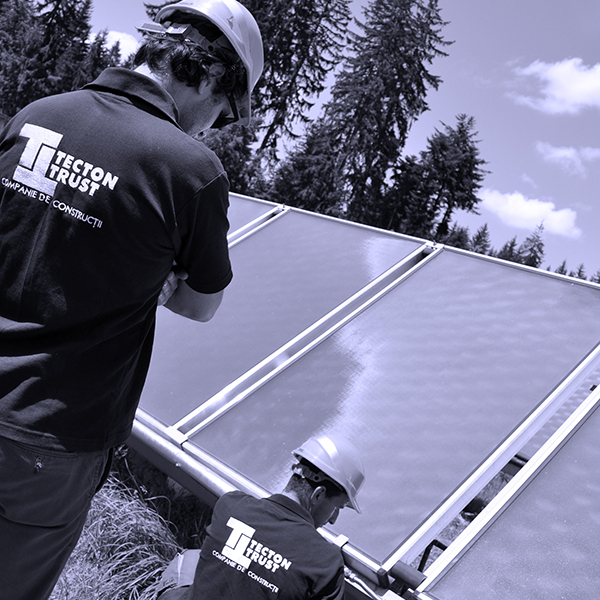 Tecton Trust always aim to exude our client’s expectations by developing innovative solutions with tailored design and decisive industrial engineering to deliver truly proficient, sustainable, energy efficient facilities. Not only does our team participate in engineering research specific to the field (such as lift studies and the creation of new construction methods), but we’re also a vertically integrated self-performing contractor. From the early works of excavation and piling, to structural, mechanical, electrical and commissioning capabilities, we are devoted to our clients even well into the operations phase. Tecton Trust provide dependable industrial installation and ongoing facilities management. From heating & cooling, ventilation, electrical and water treatment systems, to customised industrial installation solutions in Romania.